So how did average prices in Arlington dropped when the two highest-volume housing types increased in value? There was a dramatic shift in volume from more expensive single-family and townhouse purchases (-14.8% and 18%, respectively) to less expensive condos (12.4%). Who said Millennials don’t buy homes? Hint: media outlets looking for clicks who ignored the fact that as of 2015 more than half of Millennials were still 25 or younger! The decrease in average Arlington home price is misleading and a great example of why macro-level real estate data is often ineffective and purchase/sale decisions should be made using micro-level data personalized to your sub-market. The inventory problem in Arlington is where things get interesting and confusing. Basic economic principle would suggest that prices would be even higher due to such low supply, but what we’re seeing is that eager buyers are becoming frustrated with the lack of choices and either looking to other markets or simply foregoing a purchase, thus changing the demand curve and limiting price appreciation (I’m sure there’s an Economics 101 theory for this that I’ve read and forgotten). 1. 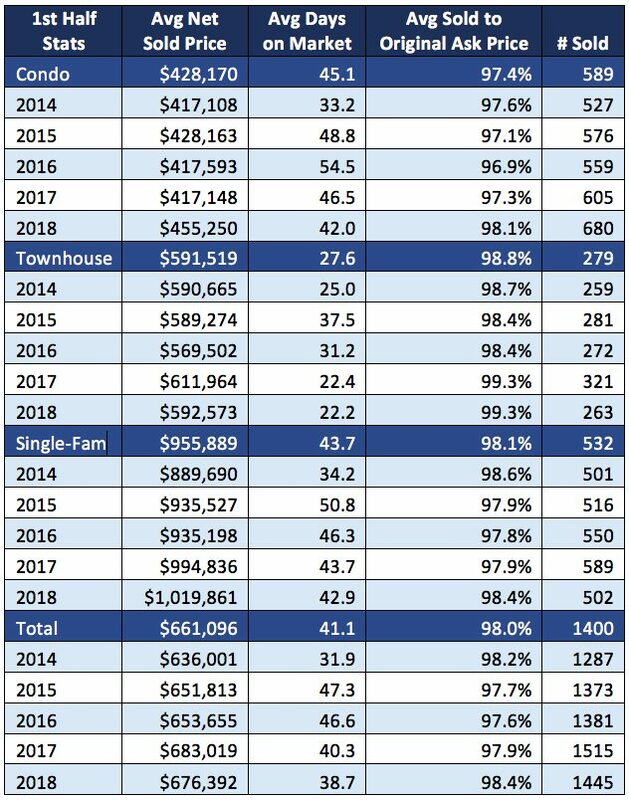 The number of homes for sale in Arlington dropped year-over-year for each of the first six months of 2018, including drops of 10% or more in each of the first four months. 2. The months of supply (existing inventory against demand) has decreased year-over-year five of the first six months of the year, with only a .2% increase in June, but two decreases of more than 20% earlier this year. 3. Overall, the number of homes going under contract each month is modestly closer to what it was last year, although it’s still down in 2018. Based on what I’m seeing with clients, this is not due to a lack of buyer interest, but the lack of choices for eager buyers. I think an increase in inventory would result in an equal increase in purchase activity. If you have any questions about this data, would like to discuss how this data impacts your purchase/sale, or would like to see more personalized data sets specific to your purchase/sale feel free to send me an email at [email protected] and let me know how I can help!